New member registration is open all year round now! After you register, complete the Challenge with your students, record the number of pins earned and then return to this site and order your pins. Just log in using your username and passowrd. Upon completion of the program, you can order Challenge award pins at the S&S Discount Sports website and get 15% off plus FREE shipping on orders over $25. Use offer code B4260 when ordering. "What a terrific idea! The children at my school are having a ball! They are practicing every chance they get and can't wait for someone to check them out so they can pass a challenge and move to another one. I started by having one class period to introduce the challenges and allow practice time. I had a couple of my best students already pass 5 of the challenges. The recess people are excited about the challenges too because all the students are practicing. Thank you PE Central for this great opportunity!" "I teach multi-handicapped students at a school for the visually impaired and blind. The challenges have been easy to modify to meet specific needs. Many of the challenges are helping me to document IEP goals. Thank you for providing a great opportunity." 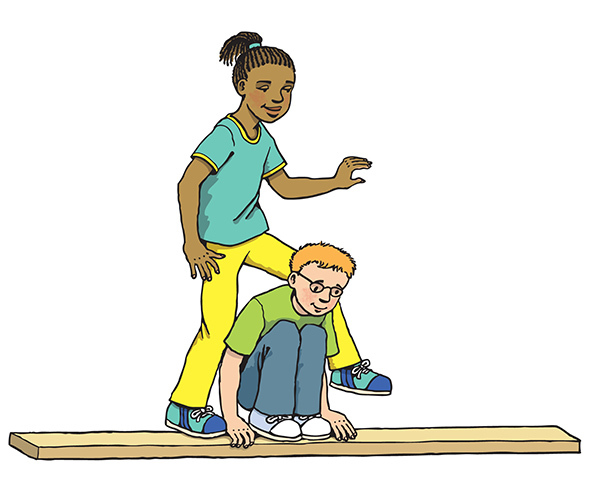 The PE Central Challenge© has been developed as a way to encourage youngsters to practice a number of the motor skills that are typically taught in physical education classes. 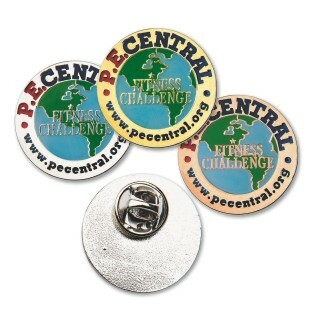 Teachers and children who participate in the PE Central Challenge© do so on a voluntary basis. PE Technologies, Inc., PE Central, and any sponsor of the PE Central Challenge cannot be held responsible for improperly implementing the PE Central Challenge© in physical education programs, or in other movement settings, or for any injury that might occur to the children, teacher or other adults when youngsters are practicing or being tested on any of the PE Central Challenges©. Successful implementation of the PE Central Challenge© requires users to provide and maintain a safe movement area and equipment for youngsters. It is solely the responsibility of the users of the PE Central Challenge© to provide that safe moving environment. Copyright© 1999-2015 PE Central Challenge, PE Central. All Rights Reserved. Unauthorized publication of any of the specific PE Central Challenges©, ideas or artwork is strictly prohibited unless permission is granted by PE Central. Publication extends to all electronic formats (e.g., Web Sites, etc.) as well. If you wish to contact us regarding permission to use materials contained in the PE Central Challenge© e-mail us at to challenge@pecentral.org or mail/fax us at the address above.